So it happened: a bewildered Hillary Clinton conceded defeat, with dignity and graciousness, after the waterboarding of the nation’s values of common decency by a Trump campaign that left Americans choking on its populist spittle. Trump’s electoral hyperbole exceeded the mistruths of Britain’s EU referendum, though not the bitter taste on the palate of the Remain campaigners. Both losing sides feel betrayed, not just by an outcome they do not understand but by a demeaning and disheartening ethical descent that has left them questioning whether their lives, relationships to their communities and love of their country have been an illusion. And neither of these sides see the results as legitimate. Some Remainers continue to seek re-dress five months later from what the Electoral Administration Act of 2006 describes as the corrupt practice of exercising “undue influence” through “assertions that were knowingly misleading”. And a petition signed by over four million UK citizens for a second referendum has challenged the validity of the Leave vote, which represented less than 60% of the population. Vociferous appeals to fellow Americans to do their duty and fulfil their right to vote still only convinced 55% of them to show up, giving Trump a mandate of just over 26% of the electorate. Joining those 22 countries, including Australia, Argentina, Belgium and Brazil, that make voting compulsory is becoming more of a compelling argument in favour of the democratic process. In the meantime many Democrats are left hoping that Trump succumbs to one of over 70 lawsuits pending against him. It does not take intellectual talent, only bacterial gut, for a tyrant to tailor the length of the reins of the mobs he has unleashed. Trump announced that his political opponent, who he had threatened with jail, was now owed “a major debt of gratitude for her service to our country”. Both results, however, are here to stay; Brexit in its hard, soft or marshmallow construct, and Trump now legitimised by President Obama’s welcome into the heart of the Oval Office with a tour and a chat to the background shouts of “He’s Not My President” from New York to Dallas, Miami to Kansas City, and to the home of the future Trump House, Washington, D.C.
Twenty-five years of British headlines such as “150 New EU Laws Ruining Britain”, “New EU Rules Wreck Pensions”, “Ban Shopping Bags Says EU” and “Who Do EU Think You Are?” left disaffected and nostalgic Brits zigzagging like sharks preying on who to blame. For his part, Trump led his voting flock with the persuasive powers of a reformed sinner. When an electorate wants to be duped there is little to dissuade it. 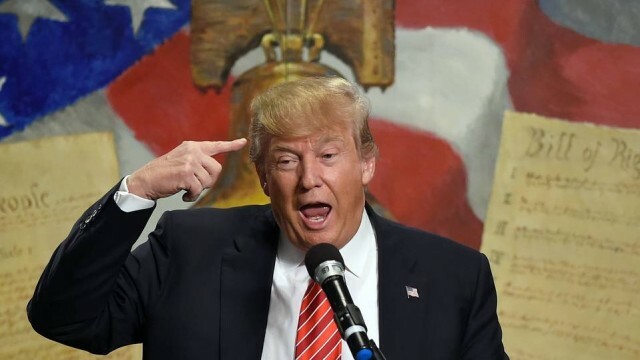 Trump garnered 63% of the white American male vote and 52% of its female equivalent, who voted with the vehemence of a minority brainwashed on diets of shock-jock conservative radio and brought to life by plant closures and zero job opportunity. And so victory at Trump’s campaign headquarters was celebrated with chants of “lock her up”. But it does not take intellectual talent, only bacterial gut, for a tyrant to tailor the length of the reins of the mobs he has unleashed. In his acceptance speech, Trump announced that his political opponent, who he had threatened with jail, was now owed “a major debt of gratitude for her service to our country”, and that his two-term president was a “very good man”, whom he greatly respects and, we assume, no longer finds unworthy of high office by dint of his birth. Trump’s flip flop ideology, that has flashed like a stop light between red and blue twelve times in the last twenty years, will be auto-corrected by the Republican House and Senate, and screwed into place by his creationist, evangelical vice-president elect, Mike Pence. Policies up for demolition include most of Obamacare, the Environmental Protection Agency, the Paris Climate Accords, and the Iran Nuclear Deal. But making them disappear will just bring the underlying issues back like a heat-seeking Exocet missile. Britons who voted to banish the European Union consume it today with their breakfast cereal, as the 24/7 news cycle reveals the intractability of disentangling them from the 43-year-old political, legal and economic embrace of the single market and its environmental, trade and security policies. As Brexiteers discovered on the day after the Referendum result and on every day subsequently, it is easier to repeal than to replace. Trump’s voters will experience the impacts of reneging on the Paris Climate Accord to reduce carbon emissions and keep the planet’s cooking temperatures below a 2% increase. Nothing educates an uneducated electorate faster than the immediacy of floods, droughts and asthma, and a cabinet of men will be no match for Mother Nature’s punishment of their domestic agendas. Similarly, snapping sanctions back on to Iran will rekindle the regional arms race, just as cozying up to Russia, in order to combat Islamic extremism, will do nothing to dissuade President Putin from pursuing his policies of disinformation, his cyberattacks and his threats against real friends in Europe. The reality show at White House-a-Lago will soon be enveloped by the secrecy that Trump’s cluelessness needs in order to assure his voters that he is keeping them safe and prosperous. Yup, Brexit all over again.